All employees need to be able to perform their job safely. 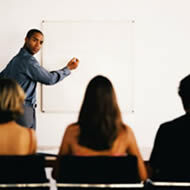 AMW provides a range of training courses for groups or individuals at all levels of responsibility. Bespoke courses can be made available to meet your needs. We are able to provide training to meet with your health and safety needs. For more information on other courses or further details on those above, do not hesitate to contact AMW Health & Safety Services. We are here to advise, at no cost.